Aria House Newton Street is development of 40 flats by Messrs Barratt Homes. The building was originally known as Aviation House and was the headquarters of the Civil Aviation Authority before Barratts converted the property to residential use in 1999. Comprising a mix of 1, 2 and 3 bedroom flats and penthouses the building is unusual in that the substantial underground car park provides adequate parking for all of the flats, and was in a previous existence, a recording and practise studio frequented by amongst others English Rock Legends Deep Purple. 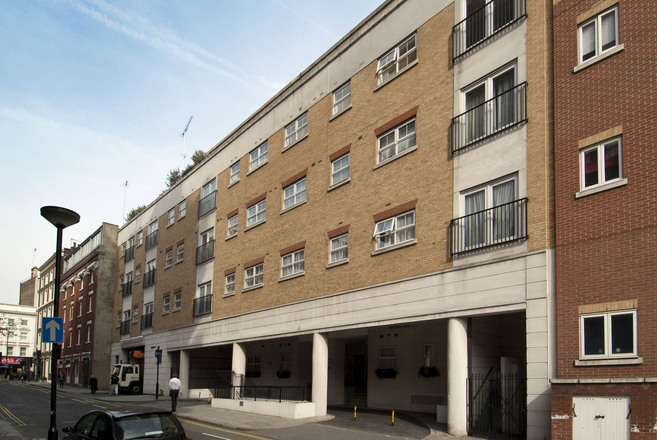 Located only a short walk from Holborn Station, Aria House is ideally placed for quick access to The City of London or nearby Covent Garden's Theatreland and offers broad appeal for both live in residents and also buy to let investors. The London School of Economics and University College London are nearby and this makes Aria House flats that are placed on the rental market a very popular choice with the large number of international students who come to London to study. Aria House manager Keith Sterling has been at his porters desk since the very beginning and provides a much valued concierge service. Do you live in Aria House?